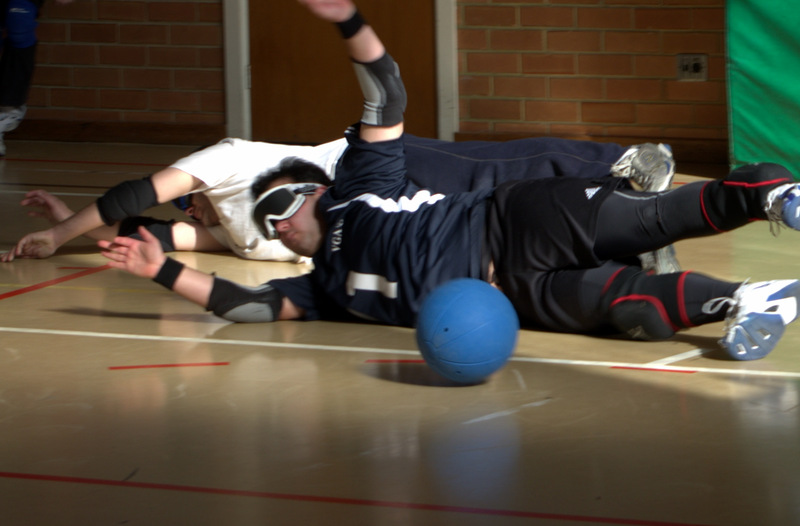 Goalball is a sport designed for and played by blind and vision impaired people. It is a fast-paced, indoor sport that relies on hearing. If you would like to get involved, come and check it out. Our local competition is held at the Scotch College Junior School Gym, from 9:20am on Saturdays from April until September. Enter at gate 7 on the corner of Callentina Road and Glenferrie Road. 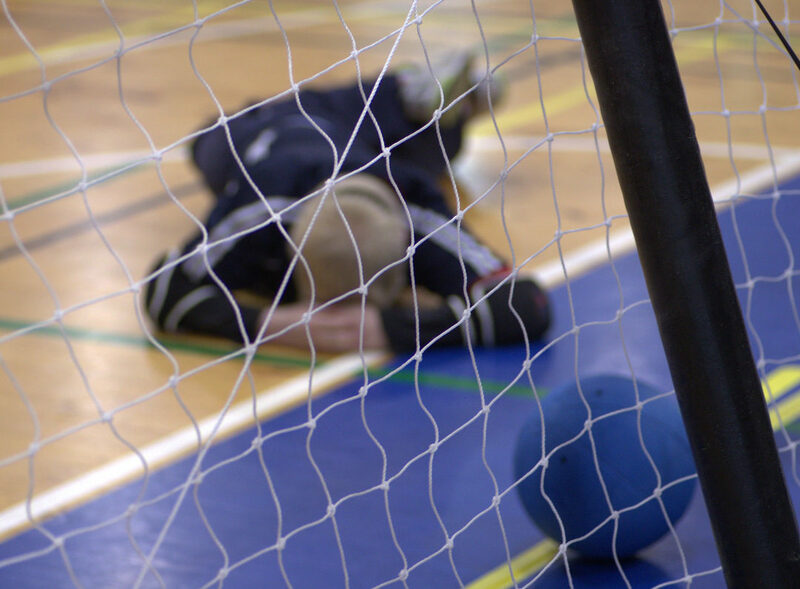 We also run come and try days throughout the year, offering the opportunity to try out Goalball in a friendly and safe environment. On Saturday 14 July, we had a Bring a Friend Barbecue and friendly, one-day, round-robin competition, following a Goalball, Give a Go! day. Having filled up on sausages supplied by the wonderful Carter family and delicious chocolate cake baked by our lovely volunteer referee, Pam, everyone was in high spirits and eager to take the court. The high spirits continued throughout the afternoon, with a very close competition overall. The Victorian Goalball Association is holding a trivia night with some great prizes to be won! Come down to South Melbourne Market for a fun filled night. Entry is $20 and includes trivia, games and light finger food. There will be a bar available, so no need to BYO. A barbecue dinner will be available from 6:30 pm. The event will be held in the South Melbourne Market Food Hall. If you’d like to come along, please form a table of no more than 6 and register at https://www.trybooking.com/351228. 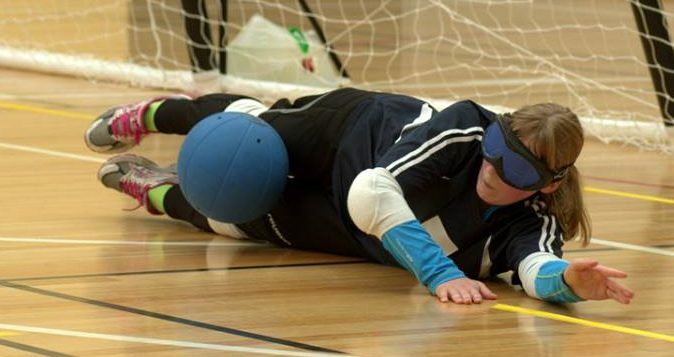 The Victorian Goalball Association are excited to announce the 2018 Victorian State Titles to be held at the Scotch College, Melbourne Junior School Gym from Saturday the 5th of May to Sunday the 6th of May, 2018. This event will see Victoria and Australia’s best athletes come together to compete for the State Titles in an open aged male division, open aged female and mixed development division and 15 and under mixed junior division. Location: Scotch College, Melbourne Junior School Gym, Entry 7, Corner of Callantina Road and Glenferrie Road, Hawthorn. 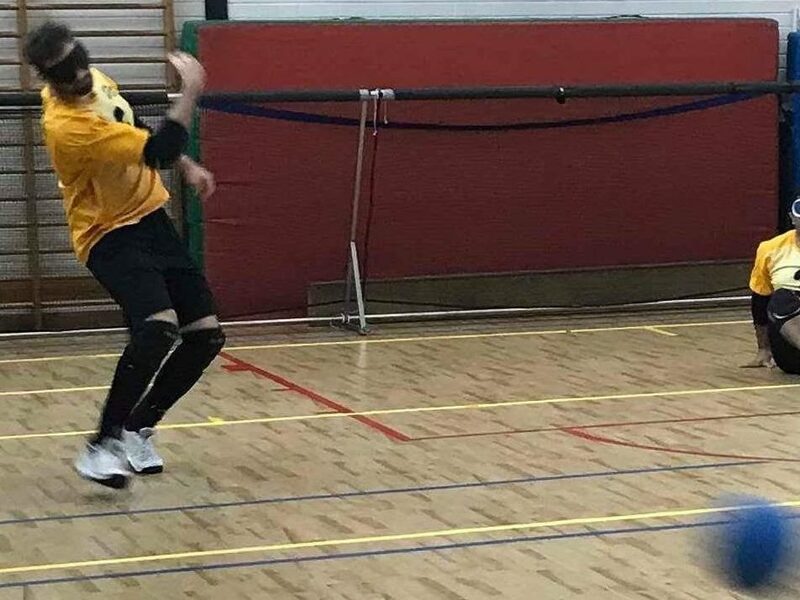 Matches played during the 2018 Victorian State Titles will be full length matches that adhere to current IBSA Goalball regulations. Both the open age male and the open age female and mixed development divisions will use the 1.25kg KSG balls while the 15 and under mixed division will play the tournament with the 950g KSG junior ball (this is different to the standard 900g Targe ball used at past Australian Goalball Championships). 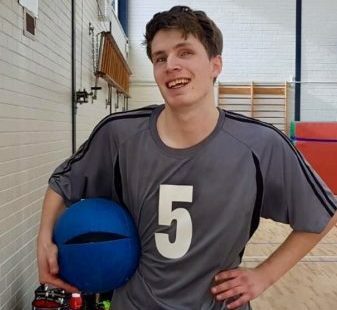 © 2019 Victorian Goalball Association. All Rights Reserved. Design by Shaun Whitely.